Thank you for your interest in a Tourism grant from the Greene County Tourist Promotion Agency (GCTPA). Tourism grants are only available to current GCTPA partners and are awarded once a year. Grants are funded solely through the Local Occupancy Tax (Hotel/Motel Tax) and represent 10 percent of the annual tax revenue plus an additional $10,000 reserved for Capital Development & Improvements. A limited number of grants is available each year. Information about partnership can be found here. The GCTPA Board of Directors reserves the right to fund events, activities and projects, wholly, partially, or even above the stated maximum, at its discretion as related to the GCTPA mission and goals, overall budget, and available funds. An application is not a guarantee of funding. Applicants should not assume that they will be awarded a grant on an annual basis, nor should they consider these tourism grants a permanent addition to their budget. Per state regulations (Act 18 of 2016), all grant requests must provide documentation of at least 25 percent matching funds. Community Events & Projects – The purpose of this grant is to provide financial support to partners planning special events designed to bring tourists into Greene County of for special projects designed to enhance the experience for tourists in the county. Events and projects should serve to stimulate the local economy. The ultimate goal is to generate overnight stays. Funds must be used to support marketing and/or advertising expenditures. Possible expenses include, but are not limited to: brochure design, brochure printing, TV commercials, radio advertising, newspaper and magazine ads, billboards, online advertising, etc. 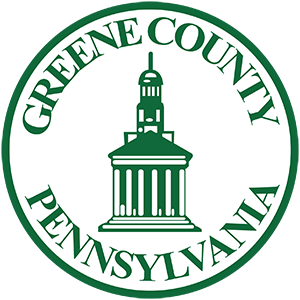 Capital Development & Improvements – The purpose of this grant is to provide financial support to partners that demonstrate a financial need and are committed to developing amenities and experiences that increase Greene County’s appeal to tourists. Projects that enhance the economic vitality of locales and regions in Greene County by improving the visitor industry are eligible to apply for funding. The maximum award is $5,000. Advertising & Promotion – The purpose of this grant is to provide financial support to partners planning special events and activities designed to bring tourists into Greene County or for special projects designed to enhance the experience for tourists in the county. Events and projects should serve to stimulate the local economy. The ultimate goal is to generate overnight stays. Funds must be used to support marketing and/or advertising expenditures. Possible expenses include, but are not limited to: brochure design, brochure printing, TV commercials, radio advertising, newspaper and magazine ads, billboards, online advertising, etc. The maximum award is $2,500. A complete application should be mailed or delivered by 4:00 p.m. on Friday, January 4, 2019. Applications can be submitted with the form below, faxed to 724-627-8608, e-mailed to tourism@co.greene.pa.us, or delivered to Greene County Tourist Promotion Agency (19 South Washington Street, Waynesburg, PA 15370). The Tourism staff is available to answer questions and assist with any step of the grant process; however, applicants should not expect Tourism staff to complete any or all parts of the application or closeout report. Office hours are 8:30 a.m. to 4:30 p.m. Monday through Friday, but are subject to change in the event of holidays or other special circumstances. For more information, call 724-627-8687.